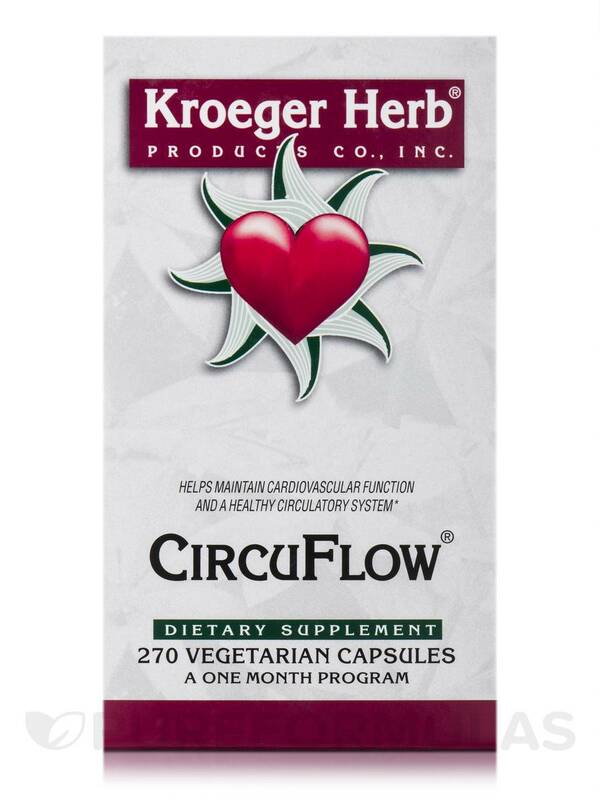 Support your cardiovascular health and improve circulation with CircuFlow® 270 Vegetarian Capsules from Kroeger Herb®. 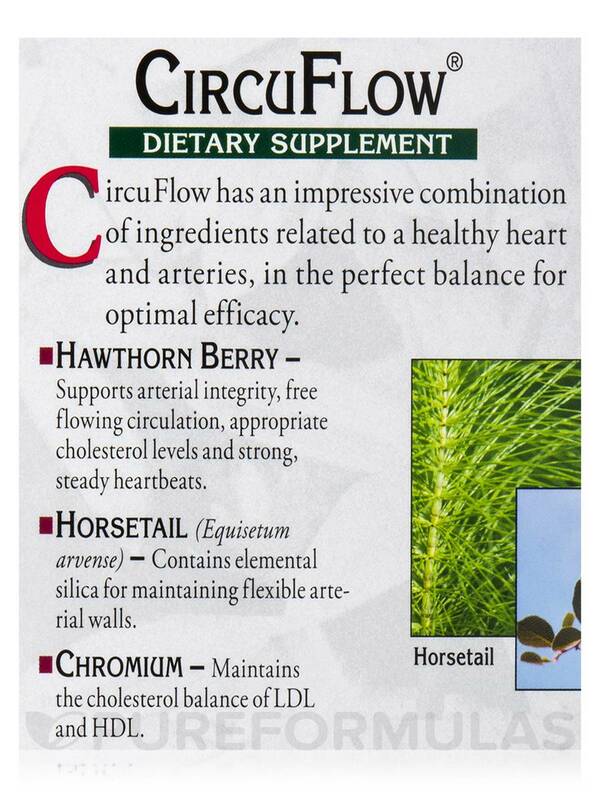 This dietary supplement may promote healthy heart function and ward off conditions. 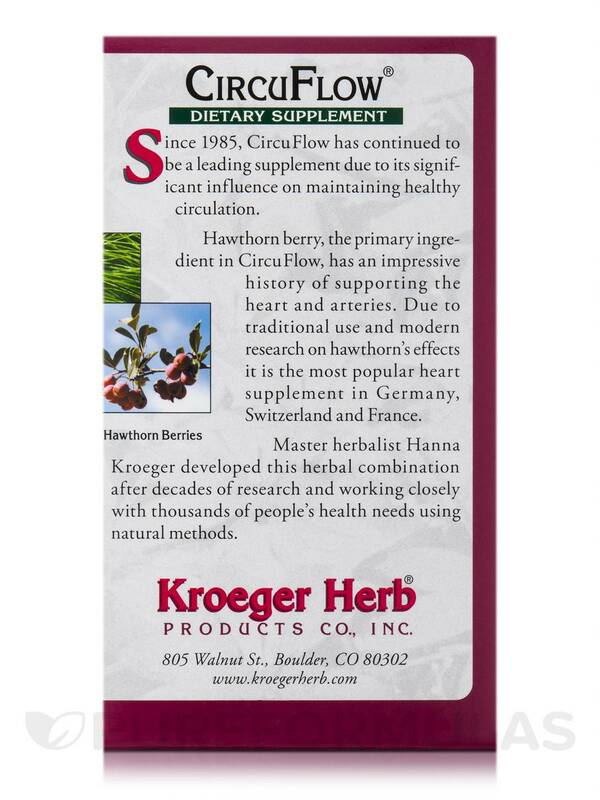 Hawthorn berries or Crataegus Monogyna reportedly supports certain facets of heart health‚ improves blood flow through the heart‚ eases chest pain‚ and lowers fat accumulation in the liver. 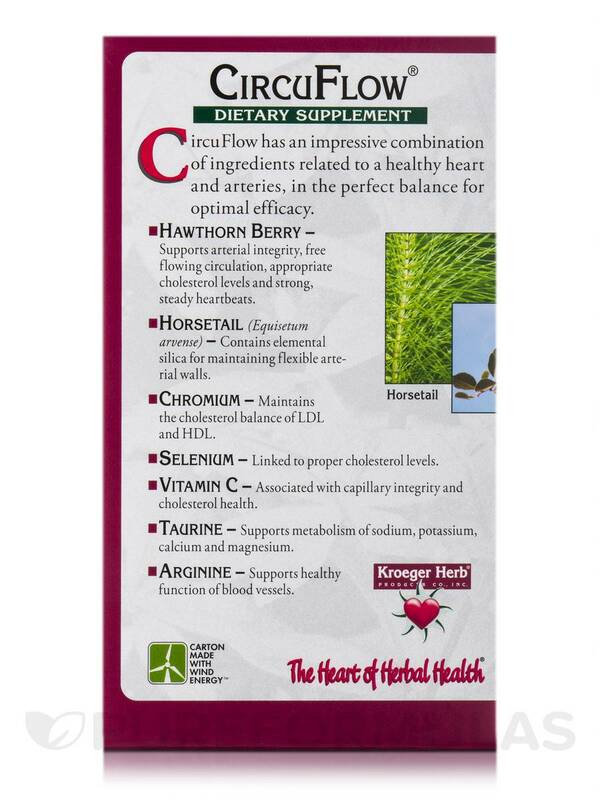 It may maintain healthy blood lipid levels‚ strengthen your heart and improve its functioning. 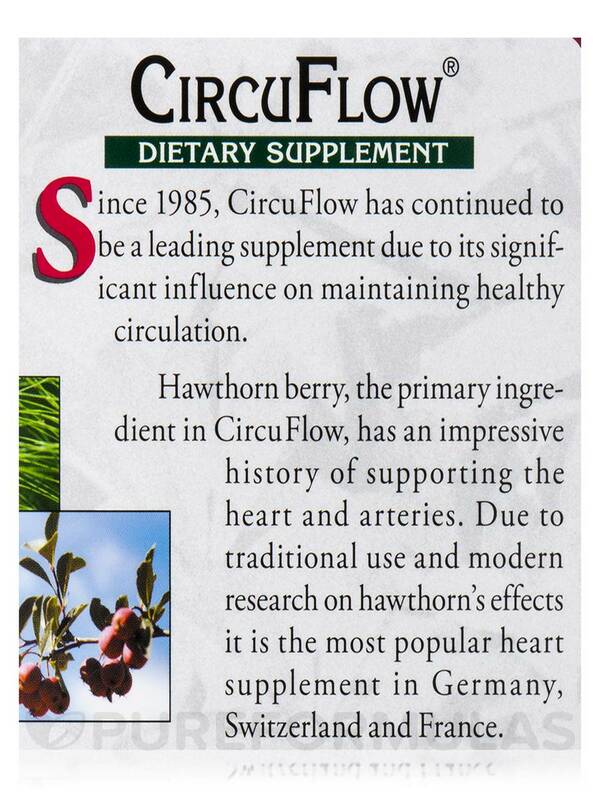 Hawthorn berries appear to provide strong antioxidant protection to your body and relieves stress too. Equisetum Arvense or Horsetail‚ with anti-inflammatory and antioxidant properties‚ may reduce oxidative damage and swelling‚ support cardiovascular health‚ and ease respiratory conditions. 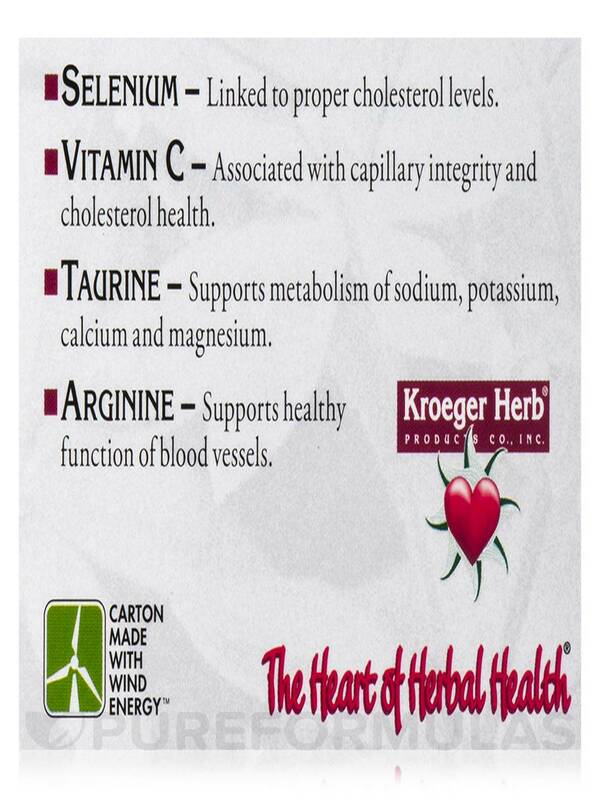 The amino acid taurine reportedly supports heart healthy living and guards the cells of your body from free radical damage. 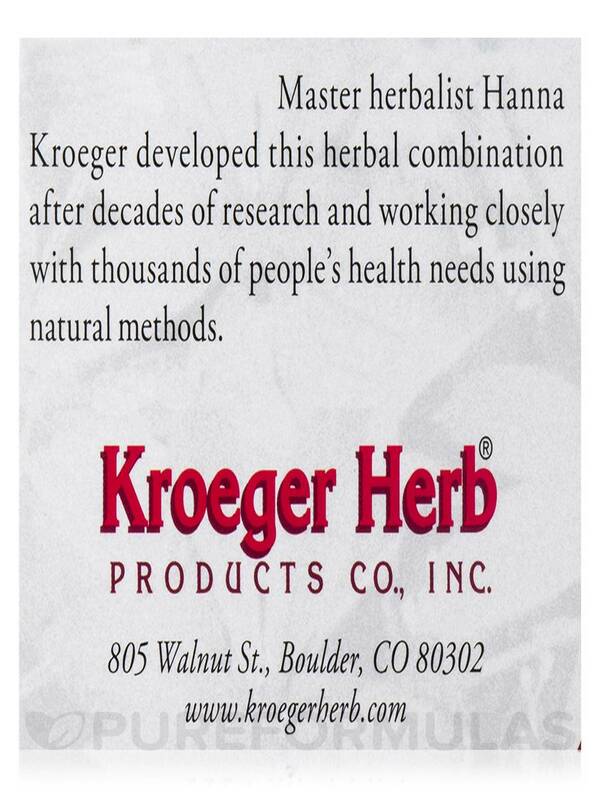 It could potentially relieve stress and calm the nervous system to alleviate heart conditions. 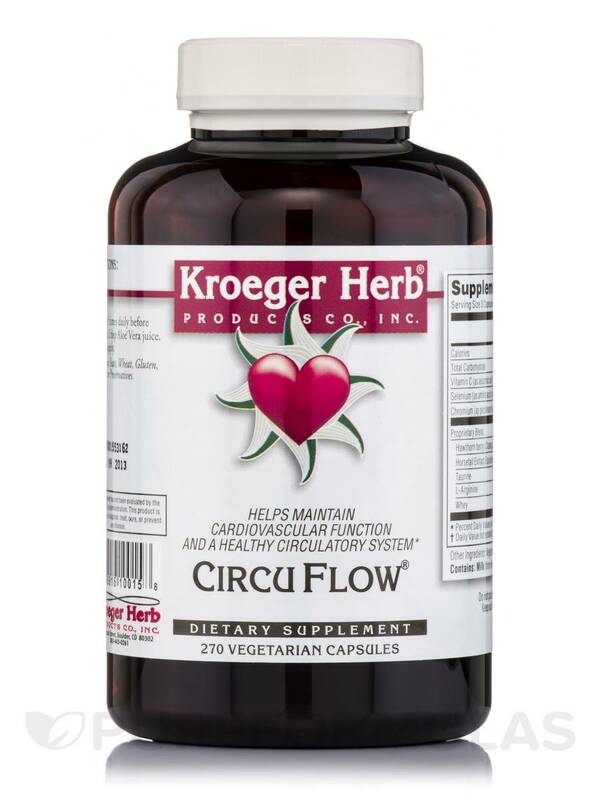 Another amino acid called arginine in this dietary supplement from Kroeger Herb® may improve circulation and relax blood vessels to keep away heart conditions. It helps boost immunity and ease inflammation too. 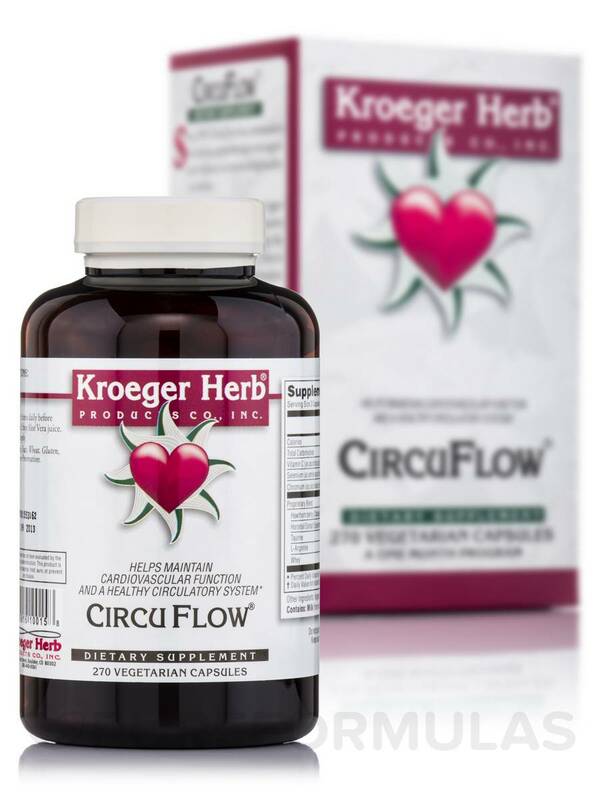 Vitamin C in CircuFlow® 270 Vegetarian Capsules from Kroeger Herb® could potentially boost immunity and reduce cardiovascular conditions and oxidative stress to promote your general wellness. 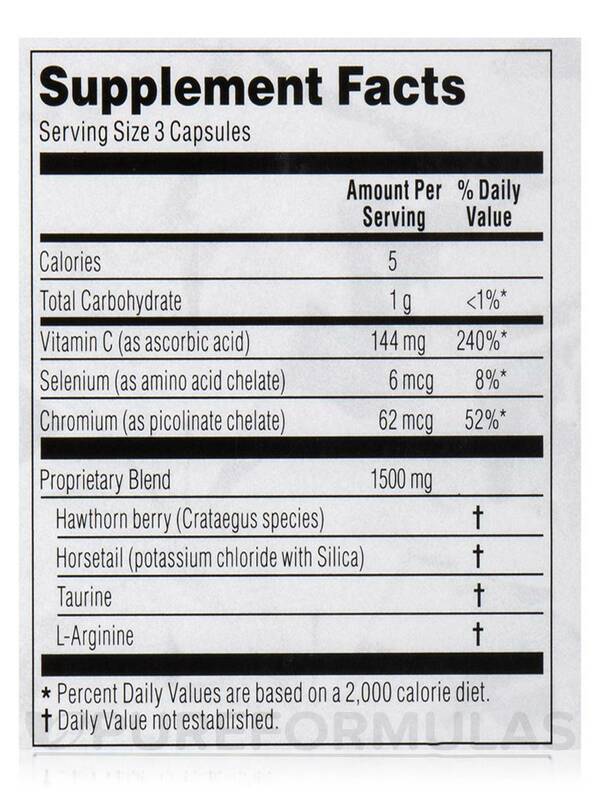 Hawthorn Berries‚ Equisetum Concentrate (Horsetail)‚ Vitamin C‚ Taurine‚ Arginine‚ Chromium Picolinate‚ Selenium. 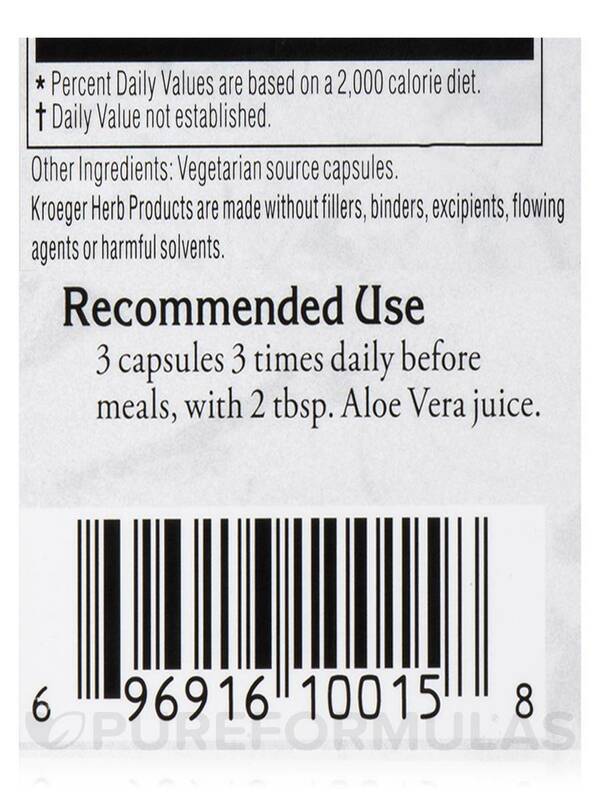 Take three capsules 3 times daily before meals with 2 tablespoons of Inner- Leaf Aloe Vera Juice. I first heard about circuflow from a girlfriend in the 1990s. Her husband was scheduled for surgery as his arteries showed up on xrays (which was not supposed to happen) because they were so blocked. She heard about circuflow and started him on it. A month later his arteries were clear and he didnt need surgery for blockage. I have used it at least once a year since as a preventative measure and recommend it to everyone I know. If you have eaten a poor diet for many years its advisable to do one 30-day treatment per each 10 yrs. of life. So if youre 60 youd do the treatment for 6 months to be sure all is taken care of. 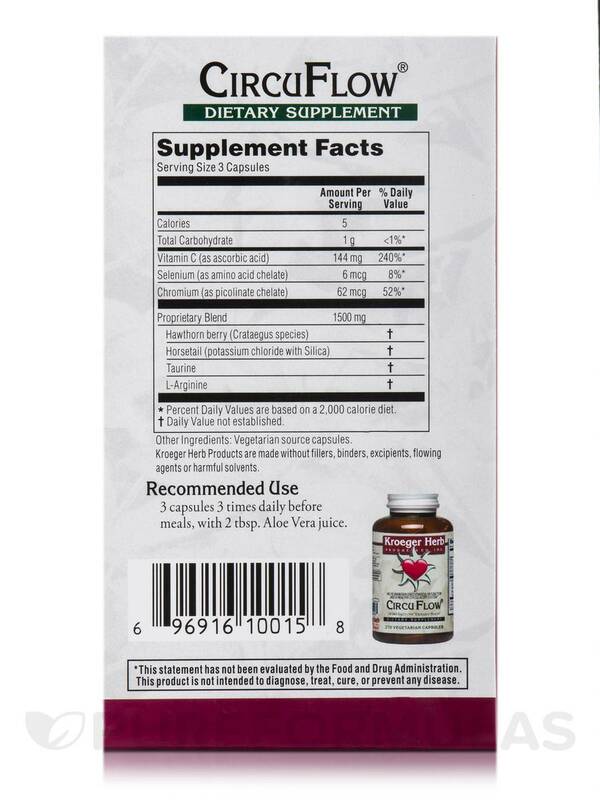 The fact that it basically roto roots your arteries veins and capillaries. Which with blood flow getting to all parts of your body helps with things like thinking clearer vision improvement etc.